Traveling around the country promoting your products at trade shows or conventions can be difficult. You are away from home and often on the road for weeks at a time during the peak convention seasons. Large companies often have booth set up crews but the majority of businesses rely on convention booth representatives to prepare their booths in a day or two before the start of the show. These tips will help make your set up smooth so you can set up quickly and spend time relaxing before the madness of the show begins. Trying to cover up standard pipe and drape walls that are provided by convention centers can be time consuming and costly. One of the easiest ways to cover these unsightly and generic curtains is to invest in a pop up display that creates the illusion of a wall. Fabric displays are light weight and come with easy to assemble frames. Many of them can be set up quickly by one of two people. After you have set up your display simple place stickers that say keep and you booth number and the convention staff will store your cases and bring them back to your booth at the end of the convention. The flooring for your booth can also be made easy by purchasing or renting convention carpet. These standard ten by ten carpets come in a travel case that meets all airline standard baggage requirements. The carpet squares that form the ten by ten spaces can be easily rolled out and will look great if you take the time to store them properly. 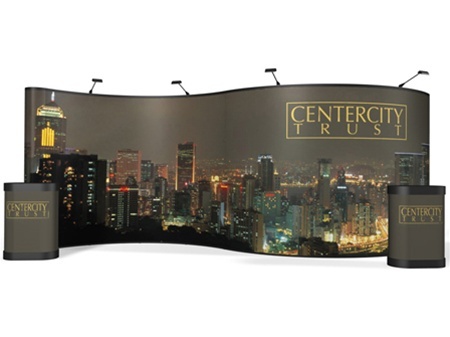 In addition to the graphic walls of your fabric displays you may also want to incorporate other images in your booth using retractable banners or digital displays. 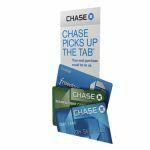 Retractable banners are easy to transport and easy to set up, while digital displays offer you the ability to display multiple images that are easily uploaded with the push of a button and can be changed at any time. Thanks for sharing Useful tips. 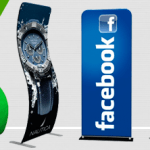 Banners are the best way to promote a business as well as to attract a huge crowd as well. Especially when you are trying to expose your product in a mall or a public place place, like market or Events. Great article. Thanks for sharing your tips. Tips For Creating a Convention Booth That is Easy To Set Up and are helpful.